In its “hay-day”, the Holstein Herd at Colony Farm was considered to be “undoubtedly the finest herd of black and white cattle in the world” (BC Holstein News, 1980). Colony Farm regularly took top prizes at the Pacific National Exhibition and other Canadian agricultural fairs and, over the years, its dairy herd of approximately 450 head provided foundation stock for virtually all of the Province's dairy farms. This exhibit explores the Holstein Herd at Colony Farm, its legen-“dairy” production, and its instrumental role in the development of mental health services in the province. While it may seem un-“herd”-of, any conversation about Colony Farm is also a conversation about the Essondale Branch of the Provincial Hospital for the Insane (later Riverview Hospital). 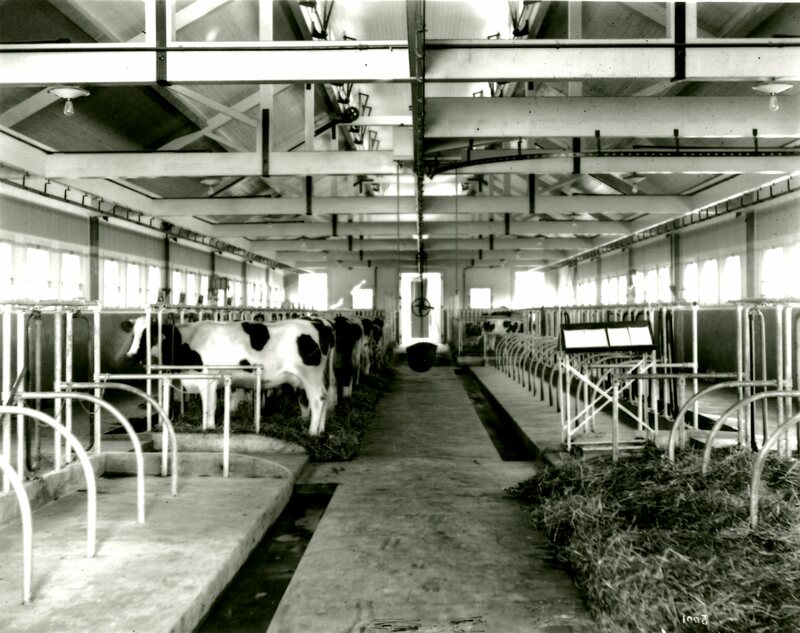 The Holsteins at Colony Farm provided a novel method of treating mental illness. In the late–19th century, mentally ill people in British Columbia were housed at the Victoria Asylum and the Asylum for the Insane in New Westminster—facilities which provided only the most basic accommodation and care. But at the turn of the 20th century, “care” meant restraining patients with leg irons and manacles. 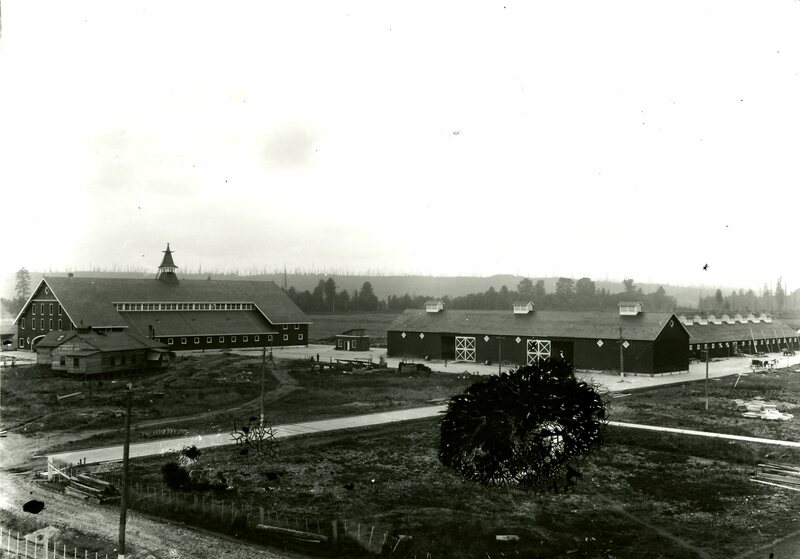 Due to an increasing patient population and overcrowding of these facilities, the Province purchased 1000 acres of land where Riverview Hospital and Colony Farm would later be built. Upon the advice of Medical Superintendent, Dr. G. H. Manchester, it was decided that the new institution would be a “daring and unique experiment” (Man to Man Magazine, 1910). They would design a modern mental hospital that emphasized safe care in peaceful surroundings. Under the direction of the next Medical Superintendent, Dr. Charles E. Doherty, treatment would include recreation, normal routine, and healthy, supervised work, which were all tenets of the developing field of occupational therapy. Opened in 1910, Colony Farm was more than a Provincial demonstration farm. It also provided the opportunity for patients to participate in work at the dairy and nursery. Patients were paid a small salary to work and live at the farm. 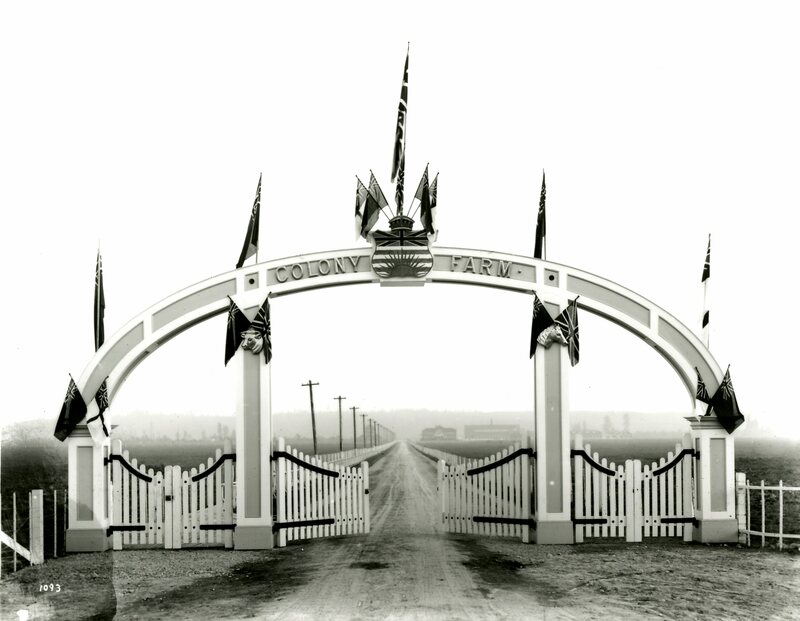 Doherty reasoned that patients gained valuable experience by working on the farm, allowing them to gain employment once they were deemed “sane.” The patient’s work helped Colony Farm to keep its operating costs down, while also supplying the entire hospital with fresh meat, dairy, and produce. The 1922/1923 Annual Report notes that patients at Essondale were working in a variety of locations in the hospital but notably contributed 20,597 work days to the farm and nursery. 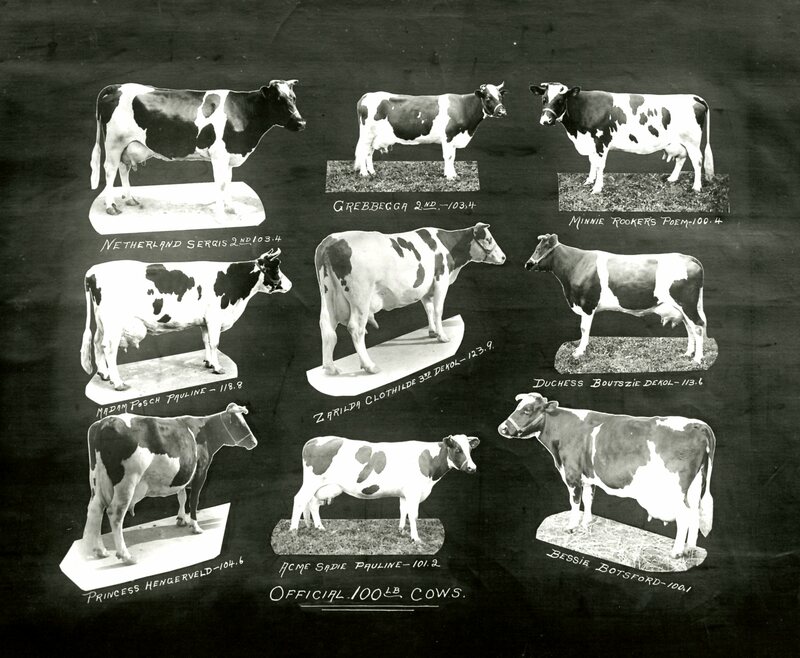 Although it began with just ​22 locally-purchased cows in 1910, the farm's dairy operation grew swiftly. 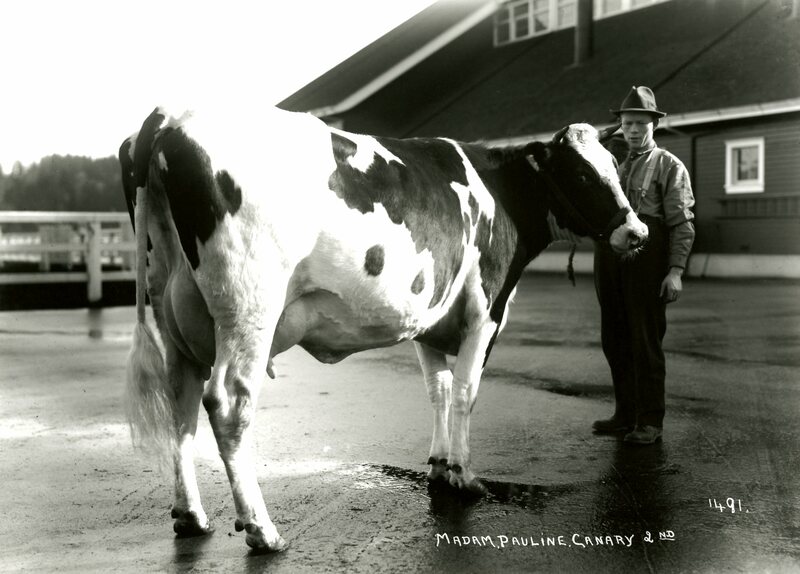 ​50 Holstein cows were imported from New York State and from Carnation Farms of Seattle to upgrade the herd. This “motley collection of milk cows,” was soon bred to perfection by Colony Farm Superintendent, Pete Moore (Greater Vancouver Regional District, 2001). Using selective breeding and artificial insemination, Moore carefully bred a quality stock “with broad and level quarters, reasonably short legs, a good head, capacious udder, lo​ts of activity, and a good division of black and white colours” (BC Holstein News, 1980). The herd was housed in state-of-the-art facilities. The Farmers' Advocate reported that Colony Farm had, "the best equipped barns, stables, dairy equipment and yards in Canada, if not the continent." The wooden cattle barn was large enough to accommodate 110 head of cattle. It was also fully automated—the cows were watered automatically in their stalls, the large hay barn was equipped with conveyor belts, and a supply train travelled between the silo and barn to feed the herd. By 1913, the farm was producing almost 50,000 gallons of milk, and the production grew annually. For example, the famous cow, Zarilda Clothilde alone produced 33,153.6 lbs of milk and enough milk fat to produce 1,194 lbs of butter. Other notable producers were Besse Besford, Madame Pauline Canary the Second, and Princess Hengerveld, who were “udderly” prolific. The farm regularly took top prizes at the Pacific National Exhibition and the Holstein Herd provided foundation stock for many of the Province’s dairy farms. Colony Farm was awarded a master breeder shield in 1930 from the British Columbia Branch of Holstein Canada. Regrettably, in 1946 there was a rash of arson incidents at Colony Farm. On December 8th a large fire broke out in the Arena building. Fortunately there were no casualties, but all the paperwork that was kept in the Arena was destroyed along with the building, including much of the paper documentation of the Holstein Herd. 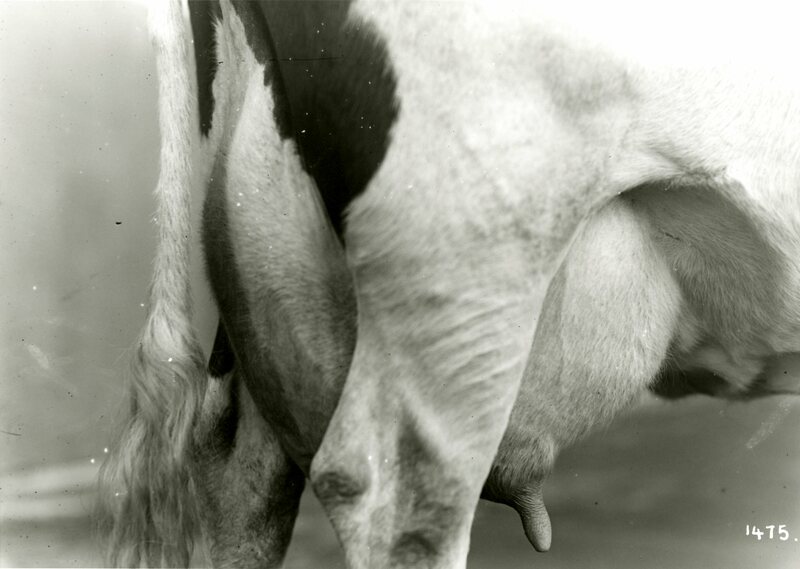 Fortuitously, a unique collection of gelatin dry plate negatives documenting Colony Farm and the Holstein Herd was transferred to the City of Coquitlam Archives. The photographs were most likely taken by Vancouver commercial photographer W.J. Moore. The glass plate negatives are unique not only in their content, but also due to their characteristic fragility. From about 1870 to 1920, many photographers used these fragile glass negatives to capture images of daily life. Gelatin dry plate negatives consist of a high-quality, smooth glass support and a gelatin emulsion of silver bromide. Unlike wet collodion glass plate negatives used in earlier photography, gelatin dry plates required less exposure time, retained their sensitized state for longer, and could be developed long after the initial exposure. By the 1920s, nitrate film negatives took over from dry plates in popularity. The most common type of damage to glass plates—unsurprisingly—is breakage due to poor handling. Glass is prone to breaking and becomes more brittle as it ages. The negatives can easily develop a network of cracks along the edges of the plate, which may lead to image loss. But other environmental instabilities cause silver deterioration of the image on the plates. If glass plate negatives are exposed to fluctuations in relative humidity it causes considerable strain on the adhesion of the gelatin to the glass plate. The gelatin expands and contracts and can lift and flake, irreversibly marring the image. 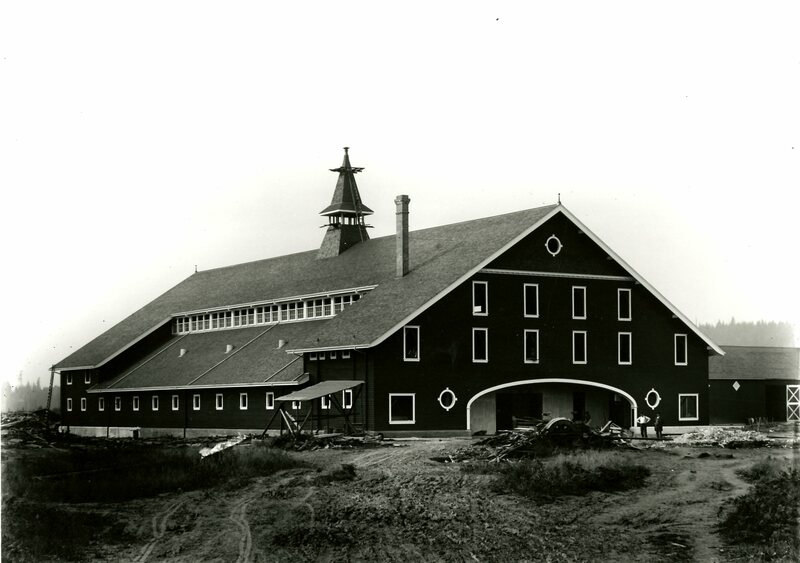 Photograph of Main Barn and milking parlour at Colony Farm, ca. 1912, with a damaged emulsion layer. Note the dark patches in the centre of the image! 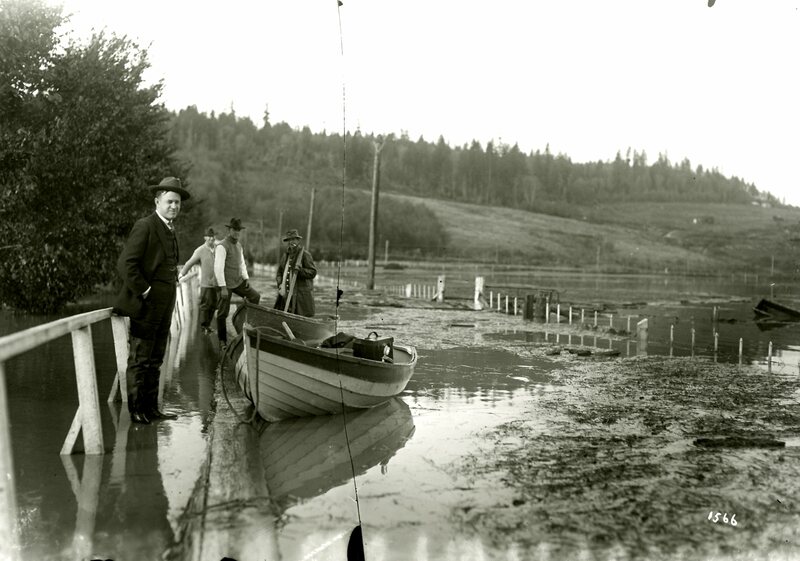 Broken glass plate negative of a man with a boat during the flood at Colony Farm, ca. 1921. Note the crack and missing piece in the centre of the image! 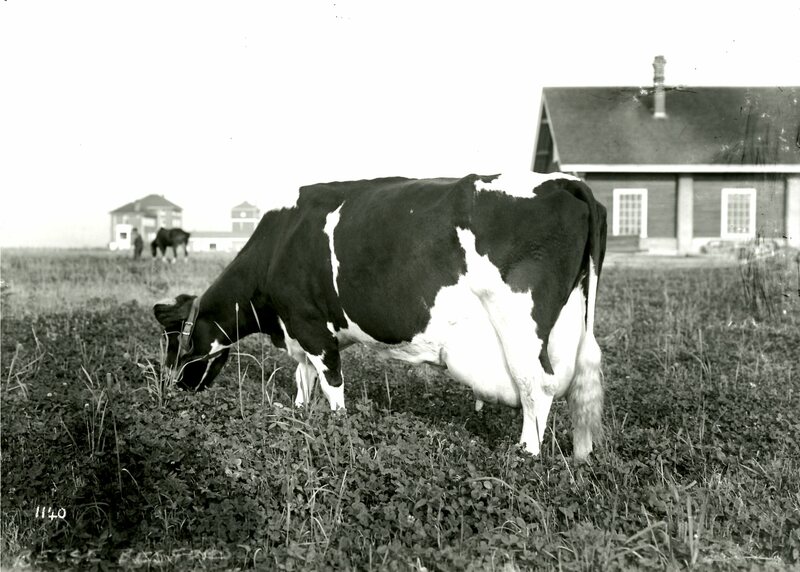 The City of Coquitlam Archives’ facilities ensure this collection of glass plate negatives is stored in a stable environment, so that the legacy of the “remar-cow-ble” Holstein Herd at Colony Farm can live on. Check out more photographs of the Holstein Herd in the Riverview Hospital Historical Society collection. It has over 150 digitized photographs that offer a unique glimpse into life at Colony Farm and Riverview Hospital at the turn of the century. The photographs are available in the Archives online search portal, Quest.